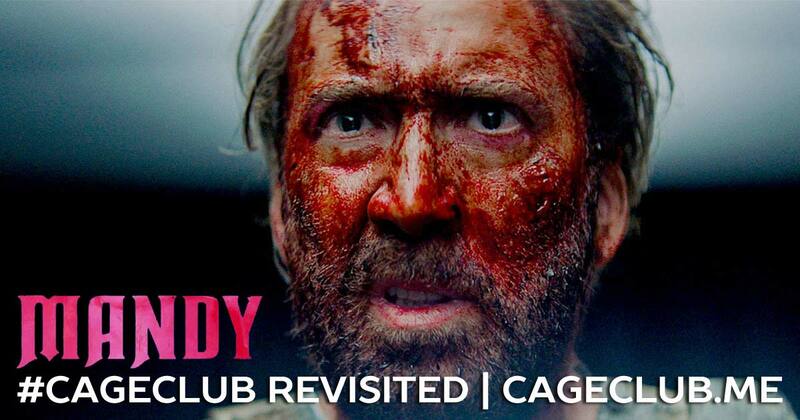 We were so excited to watch Mandy (and then watch it again, and again, and again…) that we couldn’t wait to do a Revisited episode. Recorded the night after the movie hit VOD, our Revisited episode of Mandy (which was actually recorded before we recorded our original episode!) comes immediately after we had finished watching the movie for the first time. Joined by Brian Rodriguez of High School Slumber Party, we dive headfirst into the world of weird and wonder that is this movie to talk about Cage rage, Cage memes, and why Nicolas Cage never actually “went away,” contrary to what much online writing suggests. Also, because the movie is two hours long and we have time to kill, we also figure out what Nicolas Cage Monopoly would look like. Enjoy! Want to take your listening experience to the next level? We streamed this recording on Facebook Live. Watch it here! If you want to hear our more insightful and in-depth podcast episode about Mandy, you can find that here.